The Tampa Bay Buccaneers released 2016 second-round draft pick Roberto Aguayo over the weekend. 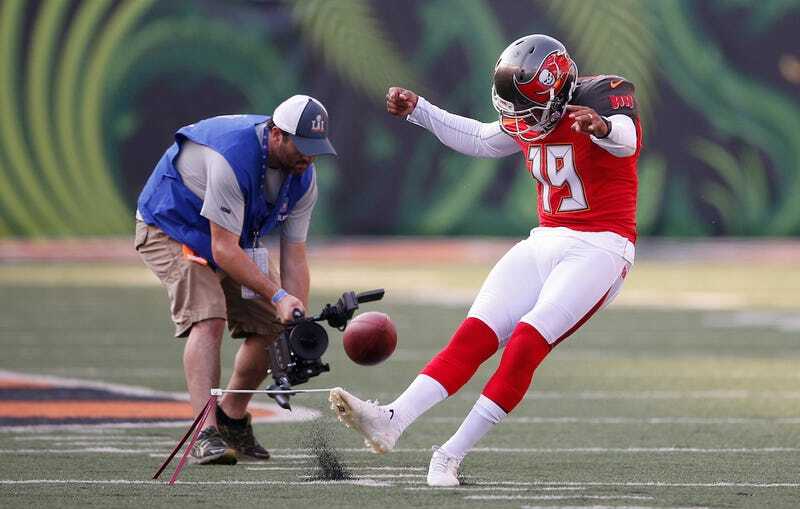 It isn’t hindsight to declare that decision stupid, because it was foolish at the time and only looked more foolish when Aguayo, one of the most accurate kickers in NCAA history, turned out to be very bad in the NFL. Regardless of who wanted Aguayo, now the Bucs have a combination of Zach Hocker or Nick Folk, while the Chicago Bears get to gamble on a talented kicker who might still be bad but at least has the benefit of lowered expectations and minimal opportunity cost. Unless a guy can hit from 80: Don’t draft a kicker in the second round.